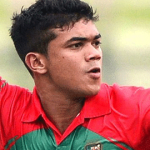 Nayeem Hasan is a popular and emerging Bangladeshi cricketer who hails from Chittagong. In fact, he comes to the timeline around the cricket world when he took five wickets in his debut test match against West Indies on November 2018. Now, he is a familiar face in the country. Nayeem Hasan was born on December 2, 2000, in Chittagong, Bangladesh. 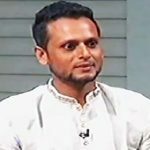 He was a so much passionate about cricket from early childhood eventually turned his career into the targeted field. 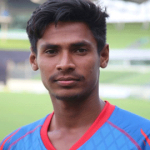 The talented player made his debut in the first class cricket in the 2016-17 National Cricket League for Chittagong Division on October 10, 2015. 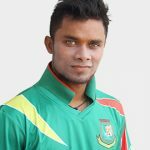 Furthermore, he made debut in the Bangladesh Premier League for Chittagong Vikings on November 29, 2017. 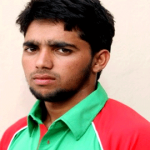 He made an excellent performance in the 2018-19 National Cricket League and took five wickets against Dhaka Division. 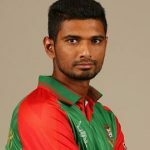 Hasan is also named for Chittagong Vikings squad for the 2018-19 Bangladesh Premier League. In fact, he made a career breakout performance in the debut test match against West Indies taking five wickets. As he is so much it is certainly said he is still unmarried and according to our record he has no girlfriend and dating history.